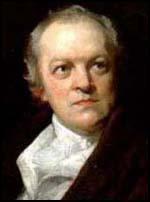 William Blake, the son of a draper from Westminster, was born on 28th November, 1757. At the age of eleven Blake entered Par's Drawing School in the strand. Three years later he was indentured as an apprentice to James Basire, engraver to the Royal Society of Antiquaries. After marrying Catherine Boucher on 18th August 1782, Blake became a freelance engraver. His main employer was the radical bookseller, Joseph Johnson, and publisher of works by Mary Wollstonecraft and William Godwin. Johnson, who been involved in establishing London's first Unitarian Chapel in 1774, also influenced Blake's religious views. In 1784 Blake opened a print shop with James Parker at 27 Broad Street. The business was unsuccessful and by 1786 he was back working for Joseph Johnson. The following year Johnson introduced Blake to the radical circle of Mary Wollstonecraft, William Godwin, Joseph Priestley and Thomas Paine. Blake began to experiment with a new method of engraving. The first of his illuminated works, Natural Religion, appeared in 1788. The poetry and their illustrations were drawn in reverse on copper plates in an impervious liquid, then the plain parts eaten away with acid. After the prints were taken they were coloured by hand. 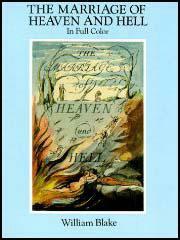 Natural Religion was followed by Songs of Innocence (1789), Marriage of Heaven and Hell (1790) and Songs of Experience (1794), a book that deals with topics of corruption and social injustice. 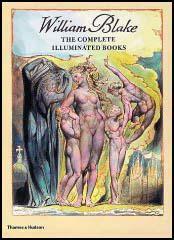 In his books The French Revolution (1791), America: A Prophecy (1793) and Visions of the Daughters of Albion (1793), Blake developed his attitude of revolt against authority, combining political belief and visionary ecstasy. Blake feared government persecution and some of work such as The French Revolution was printed anonymously and was only distributed to political sympathisers. In 1800 William Blake moved to Felpham in West Sussex, where he was commissioned by William Hayley to decorate his library with eighteen heads of poets. Hayley also employed Blake to make the engravings for a Life of Cowper. While at Felpham began work on his epic poems, Milton and Jerusalem. In these poems Blake provides a complex mixture of prophecy, social criticism and biblical legend. In August 1803 Blake removed John Scofield, a drunk soldier, from his garden in Felpham. Scofield afterwards claimed that Blake "damned the King and said that soldiers were all slaves". On Scofield's testimony, Blake was charged with high treason and put on trial at Chichester. After Blake was acquitted of high treason he moved back to London. An exhibition of Blake's work at the Royal Academy in 1809 failed to attract any significant interest and he sank into obscurity. Blake continued to produce poetry, paintings and engravings but he rarely found customers for his work. William Blake died in 1827 and was buried in an unmarked grave at Bunhill Fields. Those who restrain desire, do so because theirs is weak enough to be restrained; and the restrainer of reason usurps its place and governs the unwilling. And being restrained, it by degrees becomes passive, till it is only the shadow of desire. We safely arrived at our cottage, which is more beautiful than I thought and more convenient. Mr. Hayley received us with his usual brotherly affection. I have begun to work. Felpham is a sweet place for study, because it is more spiritual than London. Heaven opens here on all sides her golden gates; her windows are not obstructed by vapours. We are safe arrived at our cottage without accident or hindrance. We had seven different chaises and as many different drivers. We travelled through a most beautiful country on a most glorious day. Our cottage is beautiful. If I should ever build a palace it would be only my cottage enlarged. The villagers of Felpham are polite and modest. Meat is cheaper than in London. The sweet air and voices of winds, trees and birds, and the odurs of the happy ground, makes it a dwelling for immortals. Blake said the French knew our strength very well, and if the French set foot on English ground that every Englishman would be put to his choice whether to have his throat cut or to join the French and that he was a strong man and would certainly begin to cut throats and the strongest man must conquer - that he damned the King of England - his country and his subjects - that his soldiers were all bound for slaves and all the poor people in general.